Mental health practitioners encounter clients grieving loss almost every day of their professional lives. Clients may present specifically for strategies to cope with their grief, or may come with an array of symptomology resulting from complicated and unresolved grief, which must be worked through. Regardless of how it presents itself, it is the role of the counsellor to validate the grief and help the client make meaning of their loss. However, what happens when we treat a client who is experiencing a loss they aren’t allowed to grieve? How do they deal with feelings that society tells them they shouldn’t have? 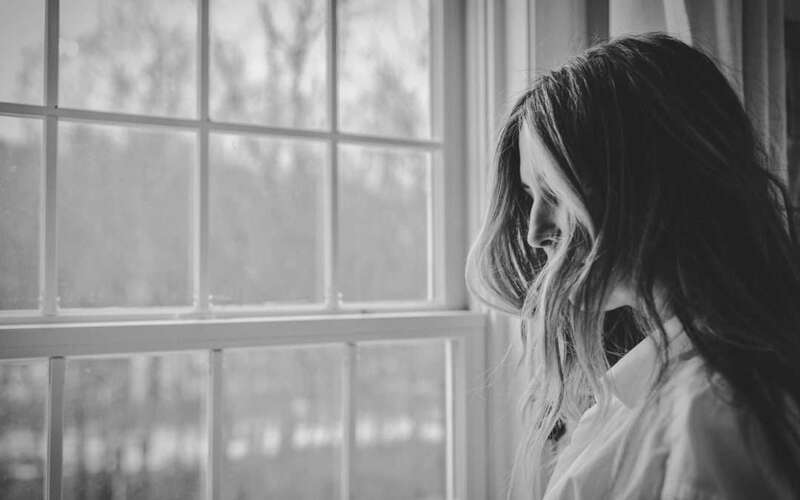 In this blog, we’ll take a look at the issue of disenfranchised grief surrounding miscarriage. What does this type of disenfranchised grief look like; who disenfranchises the grief of this loss; why do they do this; and how can we, as practitioners help the meaning making process and open the dialogue on grief after pregnancy loss? What does disenfranchised grief look like? Dr Kenneth Doka, leading expert and prolific author on grief, and grief counselling defines disenfranchise grief as, “[…] the grief experienced by those who incur a loss that is not, or cannot be, openly acknowledged, publicly mourned or socially supported” . There are many ways that the world disenfranchises our grief; from not allowing us to speak about the way a loved one has died; to not recognising our loss as a legitimate reason to grieve, and not sanctioning our role as a genuinely bereaved person. Society has very distinct rules around whom and what we can grieve, how we can grieve and how long we can grieve. Pregnancy loss is a perfect example of this restriction on grief. There are myriad terms to describe what we know as pregnancy loss: miscarriage; spontaneous abortion; neonatal loss; perinatal loss; stillbirth; failed pregnancy; and to further complicate matters, the medical profession has created an arbitrary cut-off for terms relating to in utero death. Prior to 20 weeks gestation, the loss is known as miscarriage, or spontaneous abortion; after 20 weeks it is referred to as a stillbirth or perinatal loss . Regardless of the terminology, they all describe the same thing – the death of an unborn child, yet all of the terms manage to avoid the use of the word death. It is the sanitisation and medicalisation of a loss experience which carries a powerful emotional significance for those experiencing it. SANDS, Miscarriage, Stillbirth and Newborn Death Support group, projects from gathered data that at least 20% of all medically detected pregnancies in Australia will result in miscarriage, and possibly as high as 50% in all pregnancies. The percentage of all pregnancy loss rises to as high as 75% for women over 45 . So, if pregnancy loss is so common, why is it that we still cannot talk about it, and request the necessary space to grieve. Perhaps a look at the first responders will reveal part of the answer. Who disenfranchises our grief and why? Early pregnancy, especially if it is a first pregnancy, is characterised by frequent visits to healthcare practitioners, and as such, doctors and nurses are typically the first people who will relay the news of a healthy foetus, or one who has died. The way in which the practitioner communicates the news of the death and the aftercare given are instrumental in the way women deal with the news in the very beginning, and research shows that comments made by health workers at the time of the loss can stay with women for an extended period of time . In 2010, Rowlands and Lee conducted a qualitative study on the healthcare support after miscarriage called From the patient’s perspective. The overarching theme arising from the analysis was that medical care was considerably lacking in empathy to grieving parents of a miscarried foetus. Rather than treating the woman as a mother who had lost a baby, she was seen as a patient who required medical assistance. One participant observed that doctors were not being trained to deal with the emotional aspects of miscarriage and this was contributing to poor medical care: “[they] don’t have any time or any methodology to deal with the emotions that go along with it.” It became apparent that grief was not part of the medical vernacular and women openly grieving for the loss of the baby were left feeling trivialised and disenfranchised for expressing their feelings. Lang et al conducted a similar qualitative study in Canada in which they focused on the feelings of disenfranchised grief of both parents rather than just the mother. Parents in this study remarked on the lack of empathy and available resources to guide them in how to proceed after a miscarriage. They voiced concern that the foetal remains in hospital delivered miscarriages were treated as biomedical waste rather than their baby who had died. No rite of passage was suggested for the body, and parents were left wondering if they should make their own arrangements, or go home and let the hospital deal with the remains – if indeed there were any. One woman recalls being told by the attending doctor that there was “nothing but debris” in her uterus, leaving her feeling cheated and confused about what had happened to her baby . From the opposite viewpoint, a study was conducted in Northern Ireland on the perceptions of healthcare workers on early pregnancy loss. It found that of the 39 healthcare workers interviewed, a significant portion struggled to acknowledge the significance of the loss for a woman who was in the very early stages of pregnancy. They also found it particularly difficult to empathise with women who had experienced ectopic pregnancy, as their interactions with her were more about the emergency situation rather than the miscarried foetus . They did not support the grief reactions the women experienced upon hearing that their foetus had died because in their experience, it was not an actual baby, but rather a cluster of cells that ceased to thrive. Medical staff who treat women experiencing early pregnancy loss purely as medical patients rather than those who are additionally bereaved plays a major part in disenfranchising the grief of early miscarriage. One recurring theme that pervades much of pregnancy loss focused grief literature is the guilt that mothers feel after losing a baby. This is an underemphasised and extremely compelling factor in the disenfranchisement of grief in pregnancy loss. Largely, the reasons for early miscarriage are never known, so, bereft of something to blame to make meaning of the loss, women will often blame themselves. They will assign a reason – usually something they have done or not done – as to why their baby did not survive . This can hinder and effectively exclude their grief in particular ways. If the pregnancy is unplanned and there is some time before the mother accepts the news, or indeed has not yet accepted it when a miscarriage occurs, she may feel that she has no right to her grief experience . If she had not wanted the baby in the first place, what right does she have to grieve for it? She may also feel that she has failed to carry out one of the most basic human functions in giving birth to a live child, and betrayed by her own body. Instead of being comforted by the reciprocal grief of the father, her grief is often displaced by guilt for the loss of their potential family, effectively disenfranchising herself. Lang et al hit upon a narrowly examined area of grief after pregnancy loss when they included the responses of fathers of the lost baby. Fathers have often been conspicuously missing from qualitative and quantitative studies on the effects of pregnancy loss, as the focus has typically been the two pronged approach of physical and psychological loss reactions of the mother. Lang et al found that although the mother needed to talk about the loss for longer within the relationship, fathers grieved with similar intensity. When it became a problem within the relationship was after one parent had moved on from the grief and the other was still in the midst of making meaning of the loss. It was found to lead to misunderstandings about what the loss meant to each of the parents and created an emotional dissonance, once again, disenfranchising the grief and loss rituals of the parent still in mourning. Although bereavement is accepted within the confines of the parental relationship, albeit on different timescales, it is the within the wider social context that the grief truly finds disenfranchisement. In fact, couples will rarely tell anyone outside the immediate family that they are expecting a baby before the typical early loss cut-off of 12 weeks gestation. Seeking to understand this concept from an interpersonal viewpoint, the author conducted a short interview session with a colleague, Joanne, who has experienced both miscarriages and successful pregnancies. Her response to the question of why she didn’t tell people she was pregnant until 16 weeks was simple: “It’s embarrassing when it all goes wrong” she stated. When asked what was embarrassing about losing a baby she replied, “People don’t want to know about that kind of stuff. It’s awkward. And it’s… it’s gross. They don’t want to think about me giving birth to a bloody chunk of cells – it’s not a baby […] We just don’t tell anyone because it makes people feel uncomfortable. They don’t know what to say, and we can’t stand that. We don’t even tell the kids.”. From this, it is easy to reason that people are generally uncomfortable with thoughts of miscarriage and the grief it evokes. But what makes it different from the loss of other loved ones? Bowlby conceptualised loss as the absence of proximity to and communication with an object with which the individual experiencing the loss has some attachment. Without attachment there should be no loss, hence, no grief over the loss. When a woman loses a baby in the very early stages of pregnancy, to outsiders there can appear to be no attachment. She has not felt the baby move, she may not have even seen the foetus on an ultrasound, so what is there to be attached to? People are uncomfortable with others’ grief at the best of times. When there is no discernible physical entity to mourn, people become even more uncomfortable. Friends and family are uncertain what the couple are grieving. And when friends and family withdraw in this way, the loss is felt two-fold. The parents are grieving for their lost child, and also for the lack of support and understanding that they would receive had the loss been more tangible in the eyes of others. When parents lose a child or a spouse, there is a discernible loss in the estimation of others. There are memories of the loved one; there are physical reminders that the person existed in our lives. However, when a foetus dies in utero, there are no physical reminders and memories to express what they meant to us. The loss experience may be something far more intangible for parents and entirely absent for friends and family. For the parents it may be felt as the loss of the future; the loss the child whom they may have already envisioned in their lives. It may be the loss of the prospect of mother and fatherhood and the loss of the child’s future and their future intertwined. These are losses particular to the parents, and as friends and family did not visualise the child in their lives in any real way they will not grieve in the same way and may not recognise the loss. It is not the aim of friends and family to disenfranchise the grief of loved ones, but this is the effect when the loss is not understood. When areas of loss associated grief become disenfranchised and we can no longer rely on our friends and loved ones for support, where do we turn for comfort? An area that has stepped in to fill the void for grieving parents is the support group. Support groups offer disenfranchised grievers a degree of acknowledgment in a world that usually ignores their grief. Support groups may be especially useful for couples who experience differing grieving styles and trajectories. Doka explains that listening to the stories of others can normalise each parent’s grieving style and give them a more appropriate understanding of the way the other is handling their grief. Doka also maintains that confusion around one’s own grief can be clarified by the grief narratives of the other members of the group, especially if this is the first occasion of loss for either of the parents. Bereaved sufferers of pregnancy loss need not try to hide their grief for fear of judgment in these groups as they know that every other person in the group is experiencing a similar kind of disenfranchisement. As such, couples may make friends from the members of the group, who then become part of their support network – an effective substitute for the support of other friends and family. However, not all support groups are created equal. People experiencing disenfranchised grief may be very eager to join a support group which will help their grieving process, however there are a variety of factors which create a style of group that is right for particular types of people and particular types of grief. While it can be as the last thing that a grieving parent wishes to do, careful examination of the dynamics and objectives is a sound plan prior to committing to any particular group. Parents experiencing early pregnancy loss may not find the kind of support they require if they join an open membership group which includes neonatal and late pregnancy loss – even though these two losses are frequently directed to the same support groups. Another incarnation of the support group is the online support forum, which are becoming more popular as we turn increasingly to the internet for guidance. This can be hugely beneficial to parents in rural communities where the types of support groups they require are not offered, however many of the same principles still apply to these groups regarding how suited they are to a couple’s particular circumstance. There are various ways the counsellor can facilitate enfranchisement of the grief arising from pregnancy loss; first and foremost is give the parents a chance to speak about their lost child and the hopes and dreams that died along with it. The opportunity to speak and cry about a lost pregnancy to anyone outside the relationship affords the couple a platform that they may not have had previously in their social circle. Humphrey and Zimfer reiterate that the grief felt by parents of early miscarriage is often for the future they have imagined, thus much of the healing process may take place on a symbolic level. There will be no grave to visit, and no photos to remind them of the time they had together so it may assist the couple to memorialise the baby in either a private or public way, as they would a typical loved-one. Guilt felt by the mother surrounding the loss must also be managed, so normalising the experience of early pregnancy loss is very important in enfranchising her grief. Education on the prevalence of pregnancy loss may be helpful if she has not sought out this information herself. However, elements of cognitive restructuring may be required if the mother is ‘stuck’ on cognitions of guilt and education does not appear to be effective. Loss is one of the only universal constants in the human experience. However, the grief we suffer after this loss is entirely subjective – not only on our personal characteristics but also on the kinds of loss we experience. Grief after pregnancy loss is difficult because we are grieving a dream of our future, a dream that other people may not have shared. Society – our friends and family – disenfranchises this grief not to be self-serving, but because it is not entirely understood in the way conventional grief is. With the aid of the alternate support network outlined in this article, and a continued open dialogue about how we disenfranchise grief, sufferers of pregnancy loss may find comfort in their time of anguish and a way to enfranchise a grief that has thus far not been afforded to them.